Thames & Hudson, 9780500544747, 240pp. There are many outstanding female photographers working today, yet the photographic industry continues to be a male-dominated world. 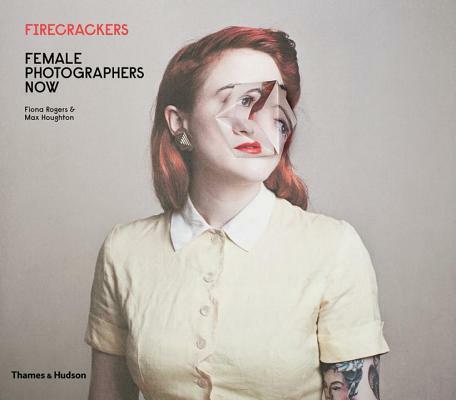 Established in 2011, Firecracker (fire-cracker.org) is an online platform dedicated to supporting female photographers worldwide by showcasing their work in a series of monthly, online gallery features; by organizing events; and by awarding an annual grant to enable a female photographer to fund a project. Building on Firecracker's foundations, this book brings together the work of more than thirty of the most talented contemporary female photographers from around the world. Each profile explores the photographer's creative practice, illustrated by photographs that showcase a key project in her career, and a selection that offers a wider view of her work. The images encompass an eclectic variety of styles, techniques, and locations--from German Alma Haser's futuristic series of portraits that use origami to create 3D sculptures within the frame, to Egyptian Laura El-Tantawy's filmic and intensely personal series on political protest in Cairo. With more than 300 photographs, Firecrackers is a celebration of some of the most inquisitive, stylish, and daring photography being made today.